Are you ready to rock, Central Texas? For the second year, Plum Creek’s Rock the Porch public art initiative will return to Kyle, Texas with a fresh look and a rockin’ attitude. 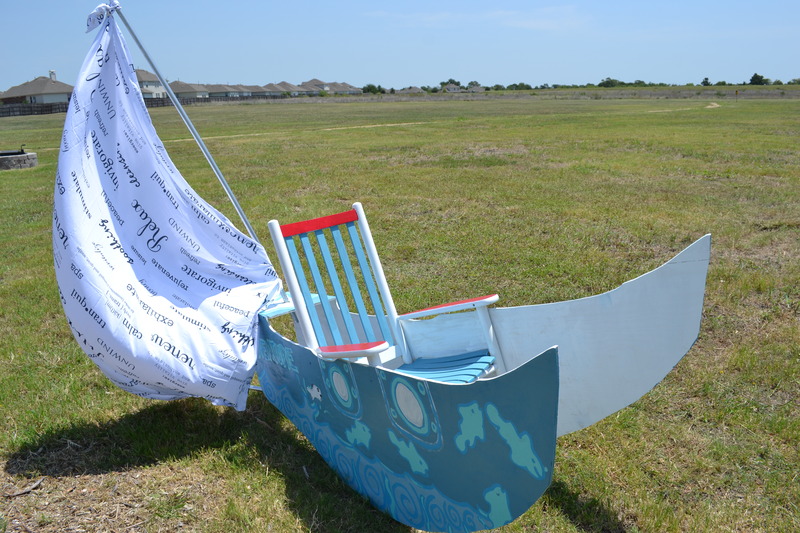 Much like last year, Rock the Porch will manifest in the creation of 20 sculptural and artistic rocking chairs designed by individuals, artists and groups from across Central Texas. Then in October, these chairs will be placed within the Plum Creek neighborhood and the greater city of Kyle to beautify the area and spark conversations. The Call for Artists for Rock the Porch is currently open – and we’re looking for creative minds to apply! The application period is open until August 15th, but don’t wait, apply today. This year Rock the Porch is all about the music. We’re looking for designs inspired by the music that rocks you – whether it’s a genre of music, or a particular song, artist or instrument. Design a chair that pays homage to The Beatles, or one that looks like a piano. Or create a chair filled with lyrics from your favorite songs. We can’t wait to see what you all come up with! Get Rocking — Apply Today! You have plenty of time to rock those creative juices and come up with something worth talking about. If you’d like to be a part of Rock the Porch, we want to hear from you! We will pick 20 artists in mid-August and your chair is due October 11th at Plum Creek’s annual Hootenanny on the Hill fall festival. At Hootenanny, there will be a vote for the best chair and the designer will be given $500 to donate to a local charity of their choice from a predetermined list. Ready to get started? Follow the link below to fill out the application. Email kelsey@lookthinkmake.com to submit, or if you have any questions or feedback. Now let’s get rocking! After months of suspense on our part, and much creativity and hard work on the part of our participating artists, Plum Creek’s Rock the Porch public art initiative is now complete and out in the community! As of early August, thirteen Kyle-made rocking chairs were placed in locations around Plum Creek and Kyle for people to look at, appreciate and enjoy. Each chair has its own unique personality, and we love the variety of people, concepts and artistic realizations the initiative brought along. Pictures of each chair, along with information about each of the participating artists is available at the Plum Creek website: www.plumcreektx.com/rocktheporch. All of the chairs are out in the community, and they’re there for you to interact with and appreciate. So send us your pictures, and tell us what you think about the chairs when you come across them in Plum Creek or in Kyle. We’d love your feedback! We’re also currently sharing information about Rock the Porch on Plum Creek’s Facebook Page, so like us to learn more about the initiative! Chicago had its cows. Austin had its guitars. And Kyle – we’re getting rocking chairs. This summer, Plum Creek is launching a public art initiative similar to the Cow Parade of Chicago and Guitar Town up in Austin called “Rock the Porch” that will manifest in the creation of 15 artistic rocking chairs that will be placed in the public spaces of Plum Creek and within the greater Kyle community. We’re looking for people, groups, organizations and artists from around Plum Creek, Kyle and Hays County to participate in creating these innovative public art pieces to beautify and enhance the neighborhood and the greater Kyle community. They’ll be placed in high traffic areas in the neighborhood such as the Plum Creek dog park, the Community Center, the pools, and around the city of Kyle, like in front of the library, City Hall and Lake Kyle. These won’t be ordinary rocking chairs, though. We want them to be creative, innovative and thought provoking. Something worth talking about. Think something like a fur-covered chair placed at the Plum Creek dog park, or one that looks more like a children’s playscape than an actual chair. Or one that is completely reassembled and upside down! Do you have some creative ideas for a unique, sculptural rocking chair? We’d love to see what you’ve got! We’re accepting applications from local individuals, artists, groups and organizations. Just fill out the below application, and email kelsey@lookthinkmake.com to submit, or if you have any questions or feedback. Rock the Porch Artist Application – Applications are due by May 15th so there’s plenty of time to get involved! The temporary public art exhibition is designed to provoke thoughts of what it means to be a neighbor, to be neighborly and to inspire conversation among people. We picked rocking chairs as the symbol because it encapsulates what Plum Creek is all about: a friendly place where you can sit outside on the front porch, watching the fun and activity of the neighborhood with a neighbor or a friend, rocking to the beat of the passing breeze and enjoying life. Plus, they’re practical – offering you a place to sit while you watch your dog in the dog park, or after you’ve picked up your favorite book from the Kyle library. 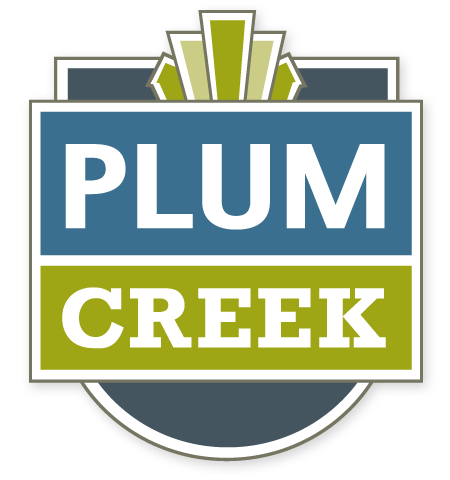 Plum Creek is launching “Rock the Porch” at our annual Front Porch Days next weekend May 4th and 5th. 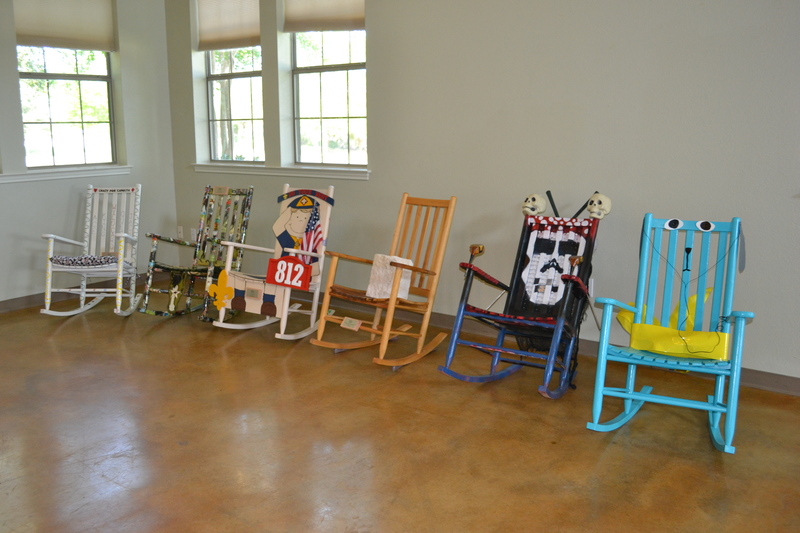 At Front Porch Days, we’ll have an rocking chair on display to inspire and get people excited about the initiative. It’ll be a weird example that embodies the kind of creativity and fun we’re expecting from the public art initiative. We’ll also have applications available at the booth, the opportunity for you to nominate your creative friends, and for you to submit ideas for chair locations in Plum Creek and Kyle. We didn’t want to leave the kids of Plum Creek out of the rocking chair fun either. So, we’ll have a number of fun crafts at our Front Porch Days booth for the kiddos of Plum Creek and Kyle to enjoy. Kid-sized rocking chairs will be available for families to purchase and decorate with paint, glitter and more, as well as little clay pots and bird houses for decorating as well. We’re donating all the money we raise from these items to Kyle nonprofit Hope & Love 4 Kids. Hope & Love is a local children’s nonprofit that serves kids in and around Hays County. Founded in 2006, they provide basic necessities to children in the community, and comfort and uplift them in their time of need through services and outreach. Their programs include school supply drives, Thanksgiving and Christmas dinners, the Angel Tree program during the holidays, the Hendricks Scholarship Foundation which awards three different types of scholarships to Hays County students, and more. So, bring some cash and those creative juices to Front Porch Days, and don’t forget to stop by our booth to learn more about “Rock the Porch.” We think this is a wonderful opportunity for Plum Creek to become even more involved in the greater Kyle community, and it’s the perfect way to showcase the creativity and talent of Kyle-area artists. And if you have some ideas for a creative rocking chair, APPLY! We want as many different people and perspectives involved. So show us what you’ve got. Fill out the below application and email it to kelsey@lookthinkmake.com. Email if you have questions or would like more information as well. Art is everywhere in Austin, in galleries, museums, and in parks and other public spaces throughout the city. This weekend it’s taking over the streets of downtown Austin too, through Austin Art Alliance’s annual Art City Austin – a two-day outdoor art festival and block party that will transform Cesar Chavez Street and the hip 2nd Street District into an artistic and cultural mecca this Saturday and Sunday, April 13th and 14th. So pile the family into the car for a short jaunt up north for a day full of art, culture, food and live music out on the streets of downtown Austin. Art, of course, is front and center at the event, with two different kinds of art browsing experiences available for attendees this year. 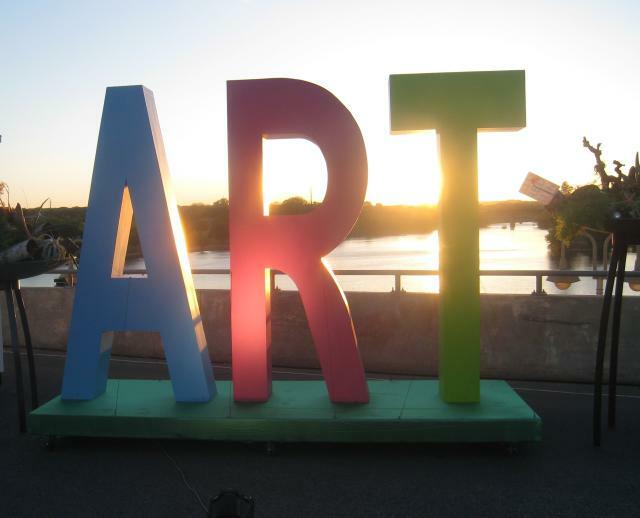 As in past years, Art City Austin features more than 100 temporary outdoor art galleries set against the streets, plazas and open spaces along Cesar Chavez Street and in the 2nd Street District. These galleries feature an array of art types and mediums, and you’re given the opportunity to meet the artists themselves at the event, too. New to the festival this year, though, is the People’s Gallery inside Austin City Hall, on Lavaca between Cesar Chavez and 2nd Street. This part of the festival is made possible by the Cultural Arts Division of the Austin Economic Growth & Redevelopment Services Office and features only Austin-based artists and creatives, to showcase the regional talent and creativity available in Central Texas. And we all know there’s A LOT of that! Additionally, festival-goers are given the multiple opportunities to watch art in action over the course of the weekend. 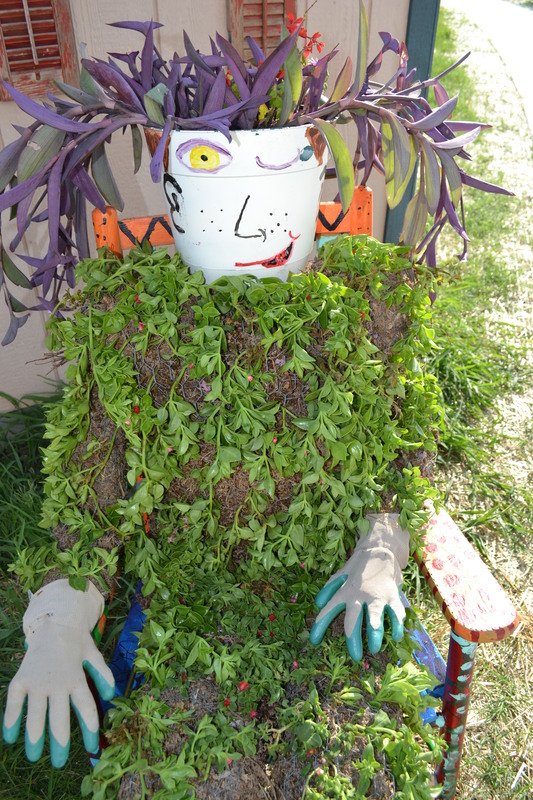 Articulture Designs will create and install living art pieces throughout the festival site to beautify and set the stage for the festival, while local artists from the Hatch Workshop will weld a sculpture from unusable bike parts in the middle of the fest. Once complete, the sculpture will live at one of Austin’s many bike shops. While these galleries and exhibits are geared toward the teenage plus crowds, Art City Austin doesn’t leave out the kiddos. In fact, they’ve got a whole Kid’s Block that is chock full of fun, arts-related activities. Activities include making action paintings with marbles with Abrakadoodle, making masks with the Mexic-Arte Museum, crafts with the Mexican American Cultural Center, face painting, decorating bags, street chalk and more. Two other activities at the fest unite the creative talents of many into group artworks. These include Building a City with the Umlauf Sculpture Garden & Museum, where kids are given a single ceramic tile to decorate, which will then be assembled and featured at the Sculpture Garden during the May 5th Umlauf Family First Sunday; and the massive origami peace crane installation. This eventual art piece will incorporate colored twine and the origami peace cranes made at Art City to create a public art installation that will revitalize and transform an ordinary alleyway in downtown Austin. The installation will be on display on 9th street between Congress and Brazos through May 5th. In addition to these art activities, Art City Austin will feature live music and food from a number of favorite Austin food trucks. Five different bands perform each day at stages that are a part of the outdoor block party. 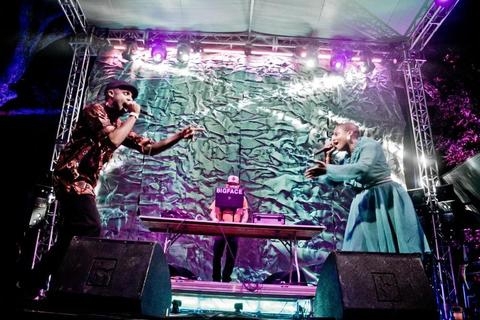 The musical selection is diverse and eclectic, ranging from Texas folk, to positive hip hop, to world music in order to reflect the diversity and quality of Austin and Texas’ music scenes. For more information about the musical performers, visit the Art City Austin music page, for band bios and to listen to some tunes.